He’ll kill you dead now . . .
As typical for Night’s Black Agents, the book is meaty and gorgeous. Dracula Unredacted – a complete version of Bram Stoker’s Dracula with extra notes added, will doubtless make a fun read. I’ve never read the original, only seen the movie, so this will be really fun. 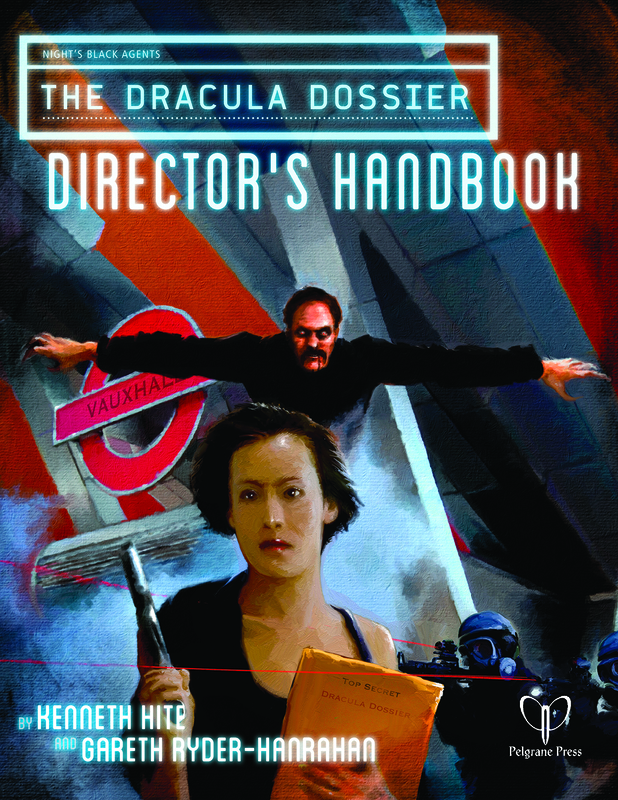 I’ll get into more of a chapter-by-chapter look at the Director’s Handbook over the next few weeks. For now, a hearty shout-out to +Ken Hite and +Gareth Ryder-Hanrahan for what is clearly a job well done. I can’t wait to dig in. I'm holding out for the Blackula Dossier. These books are really comprehensive.